We have an exciting announcement! 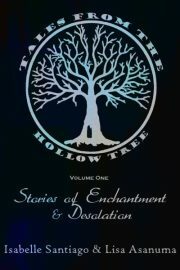 The Hollow Tree has been a bit… hollow lately. That’s mainly my (Lisa’s) fault. I’m getting married in a week, and book reading, much less blogging have not been on the agenda very much…. but that doesn’t mean that we’ve forgotten about you! Or that we’ve lost enthusiasm for all things Young Adult and Fantasy. We’ll be having a Grand Reopening in January, with a fresh new look and a couple of fresh new voices to go along with it! Keep an eye out!